Greensboro, North Carolina (August 15, 2018) – The “Shopping Annuity” dominated the Greensboro Coliseum in North Carolina from August 9th through August 12th for the 2018 Market America | SHOP.COM International Convention. The event showcased many exciting updates for the company including several new cutting edge products, technologies, new strategic initiatives, new opportunities being seized and, most importantly, how to “Convert Spending Into Earning” and create an ongoing income through the company’s revolutionary “Shopping Annuity” program. The Shopping Annuity rewards smart consumers for shifting their purchases to SHOP.COM of the same everyday products that they are already purchasing from multiple brands. The event featured the Market America | SHOP.COM executive team, tens of thousands of successful entrepreneurs and celebrity guests, including recording Grammy-nominated artist and entrepreneur Fat Joe (the company’s President of Urban & Latino Development), actress and entrepreneur La La Anthony, and others. JR Ridinger could not contain his enthusiasm for the success of the Shopping Annuity program, his brainchild. JR repeatedly demonstrated how adherence to the program generates substantial residual income over an extended period of time, ultimately resulting in great life freedoms for participants. In traditional JR fashion, he used multiple metaphors and symbols to drive his point home – whether demonstrating the inefficiencies of the “rat race” while on a giant hamster wheel or speaking to “Joe Nobody,” who lived and died an anonymous life without taking any chances to build for his future or the pitfalls of “the 45-year plan” that most working people get consumed by without ever realizing it. Based on digital aggregation and collective buying power and funded by one’s existing everyday spending rather than income, JR proved that the Shopping Annuity is the single greatest initiative that will drive both tremendous wealth creation for participants and exponential growth for the company. He also demonstrated what the company is doing to greatly simplify the Shopping Annuity program. JR’s appreciation for those onboard with him for the long haul was expressed in several emotional and tear-filled presentations from the business maverick. “So, you’ve got dreams? Dreams need to be turned into goals. Why? A dream is a vision. A goal is steps. So, to take the goal or the vision in a dream and get there, you need steps because we live in a physical world that has time restrictions…days…months. So, I take the dream, the vision, the WHY and I turn them into goals. Step one – think. Have you thought lately? No, honestly, most people go around going through life, running around doing all the crap that has to be done, being interrupted, upset, reactionary and never think! Think! Write it down. How am I going to get there? What do I want? Visualize. Visualize the end result. If you add emotion to visualization, stuff starts to happen faster than you expected. Plan. Here’s the problem — the brain doesn’t understand. The subconscious doesn’t understand. You’ve been programmed for a long time that this or that can’t happen. It’s illogical. How are you going to make it? You need to be able to give a logical explanation so that your brain says, logically, I can see how that can happen,” said Ridinger. JR closed his presentation by emerging from a NASA space capsule with his 5-year old grandson Ayden, both dressed in space suits. Making several analogies to the evolution of space travel, JR continued “When we were figuring out how to do the Shopping Annuity, I realized we had to do it in 3 phases. The first is to make it really, really easy and to match products. I have the plan and, just like going to the moon, it was Apollo, Mercury and Gemini. So, we have 3 phases. We are in Apollo right now. And we will land. Remember what John F. Kennedy announced in 1961? That in this decade, we will put a man on the moon. That was in 1961, guys. People thought it was preposterous and that he was crazy. And the point is that we did do it. And, you know, he didn’t say that without reason. Kennedy, in that statement, consulted with the greatest scientists of the time and he asked them if it was possible to put a man on the moon. They said it definitely was. Kennedy then asked ‘what will it take to do it?’ The response was five words – ‘the will to do it.’ It took almost a decade. Do we have the will to do this? It’s easier than going to the moon!” continued Ridinger. Market America | SHOP.COM President & COO Marc Ashley announced the launch of several new cutting edge products, including trim café (a revolutionary thermogenic slimming supplement), Probiotics 10 (a comprehensive probiotic product), razor blades, shaving cream, shave balm, mouthwash, baby wipes and coffee. Marc also provided a sneak peek into several other new products that the company will be launching shortly. Marc detailed the newest offerings on the SHOP.COM site, including new products, new partner stores and new egift cards, as well as enhancements to the company’s other digital assets. Marc also showcased the company’s MasterCard® credit card and secured credit card program and encouraged attendees to earn cashback via the company’s super successful SHOP Local program. The SHOP Local program rewards customers of SHOP.COM for their offline spending (such as eating at restaurants and patronizing service establishments such as dry cleaners and auto repair shops) while at the same time allowing local small business owners to tap into SHOP.COM’s extensive loyal customer base. Marc demonstrated how easy it is to build a Shopping Annuity simply by shifting current every day product purchases to SHOP.COM because of the volume and competitive pricing of products on the site. Marc was joined onstage by SHOP.COM President & COO Steve Ashley. Steve delivered a very powerful presentation about how SHOP.COM is not only taking the friction out of online shopping via several site enhancements but is also taking the shopping out of shopping via the company’s new SHOP.COM Concierge Program. This new program provides personal shoppers who will help shoppers fill their carts before they even start to shop. The program is an important game changer for the company as it will enable SHOP.COM’s loyal customers to have perhaps the best and easiest online shopping experience possible. Amber Ridinger-McLaughlin and Duane McLaughlin are creators of DNA Miracles™, a product line that provides the highest quality body and wellness products designed for babies, children and expectant mothers. Duane and Amber detailed the extensive work and product development that they put into the DNA product line. Recently launched products include: DNA Miracles Natural Kids Shampoo + Body Wash, DNA Miracles Natural Kids Conditioner, DNA Miracles Natural Kids Bubble Bath, DNA Miracles Natural Kids Detangler and DNA Miracles Natural Kids Lotion. The company has partnered with leading health professionals and scientists who follow the highest standards in ingredient selection to create the most effective skin, hair and health solutions. Amber Ridinger-McLaughlin is also the founder of the popular Lumiere de Vie skincare brand. Amber revealed two new Lumiere de Vie products – a rose refresher and a renewal elixir – as well as introduced the brand new Lumiere de Vie Hommes skincare line for men (initially featuring a cleansing gel, a conditioning beard elixir and a hydrating aloe cream). Grammy-nominated artist and entrepreneur Joseph “Fat Joe” Cartagena, the company’s President of Urban and Latino Development, delivered a heartfelt presentation about how the Shopping Annuity continues to positively change lives by providing ordinary people with simple ways to build residual income. Joe shared some very personal anecdotes, including about how his mother was diagnosed to die several years ago yet is still alive and thriving. Joe’s passion and genuine desire to help others lead a life that is “All The Way Up” (named after his hit song) were contagious. Actress/entrepreneur La La Anthony took the stage to share her strategies for how to engage your Motives customers, giving the audience great tips on effective engagement and selling techniques for the most successful cosmetics brand on Instagram (the Motives account currently has 2.2 million followers). 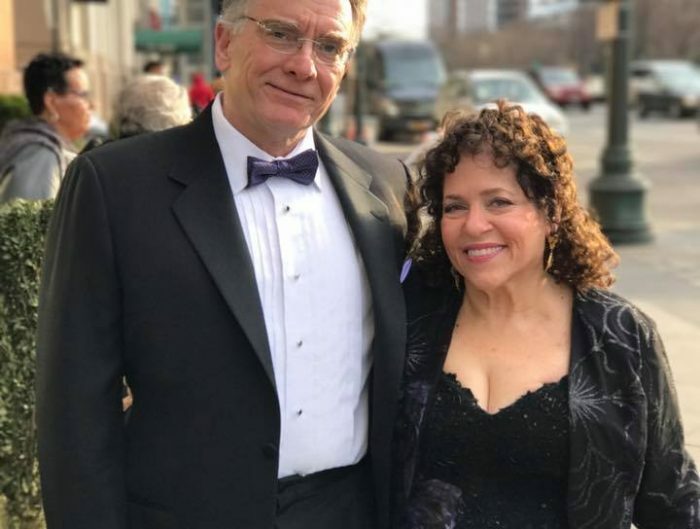 Many UnFranchise® Owners shared their business building tips and success stories regarding how the UnFranchise® business and the Shopping Annuity have empowered them to create financial freedom via earning residual income. In addition, many were formally recognized onstage by the company for their achievements. 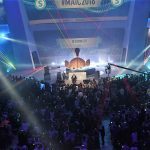 Set forth below is a link to the master list of stage presentations for the Market America | SHOP.COM 2018 International Convention, including links to video clips of same as well as the overall event highlight video. Currently in its 26th year, Market America, Inc. is a global Product Brokerage and Internet Marketing company that specializes in One-to-One Marketing and is the creator of The Shopping Annuity. Its mission is to provide a robust business system for entrepreneurs, while providing consumers a better way to shop. Headquartered in Greensboro, NC, the company was founded in 1992 by Chairman and CEO JR Ridinger and has generated over $8.5 billion in accumulated sales. 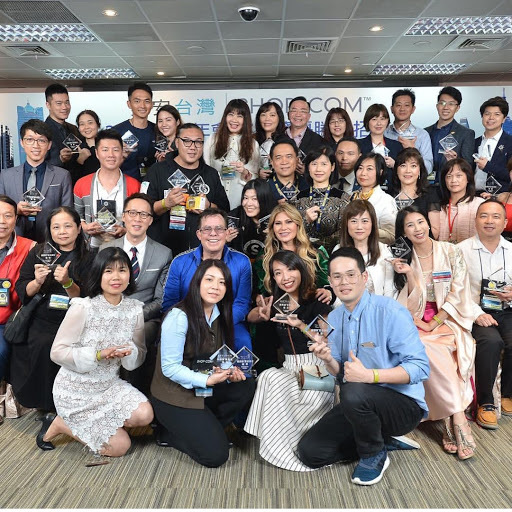 Market America employs nearly 1,000 people globally with operations in the United States, Canada, Mexico, Taiwan, Hong Kong, Singapore, Australia, United Kingdom and Malaysia. Through the company’s shopping website, SHOP.COM, consumers have access to over 60 million products, including Market America exclusive brands and thousands of top retail brands. 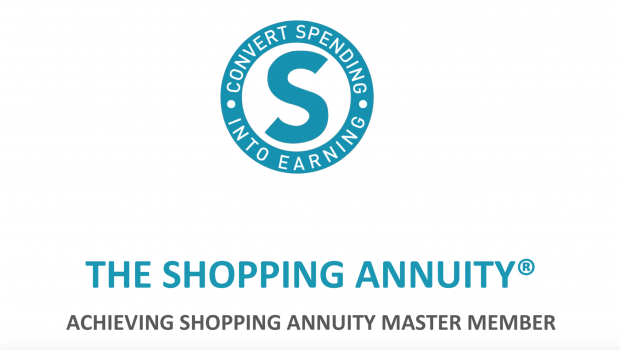 Market America’s revolutionary Shopping Annuity program, which helps smart shoppers convert spending into earning, is an extraordinary and financially meaningful benefit of the business. Internet Retailer has ranked SHOP.COM #65 in the 2018 Internet Retailer Top 1000, the #43 largest global online marketplace, #96 in the Internet Retailer Asia 500 and the 18th fastest growing Internet Mobile Retailer. The company is also a two time winner of the Better Business Bureau’s Torch Award for Marketplace Ethics. By combining Market America’s entrepreneurial business model with SHOP.COM’s powerful comparative shopping engine, Cashback program, Hot Deals, SHOPBuddy™, Express Pay check out, social shopping integration and countless other features, the company has become the ultimate online shopping destination.